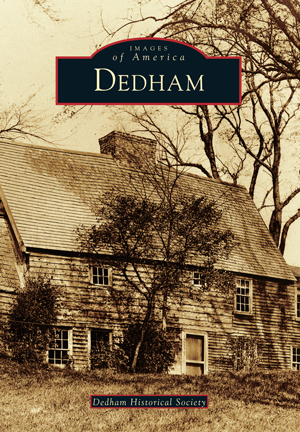 This pictorial history of Dedham opens a window onto the people and places that have shaped Dedham over the years. Rare early photographs related to unusual events and significant people offer a rich history of the town. Published by Arcadia Publishing. Soft cover. Massachusetts residents add $6.25 sales tax. We are currently experiencing problems with our gift shop. Please call us at 781-326-1385, Tuesday – Friday, 9am – 4pm EST or email society@dedhamhistorical.org to place an order via credit card. We apologize for the inconvenience.